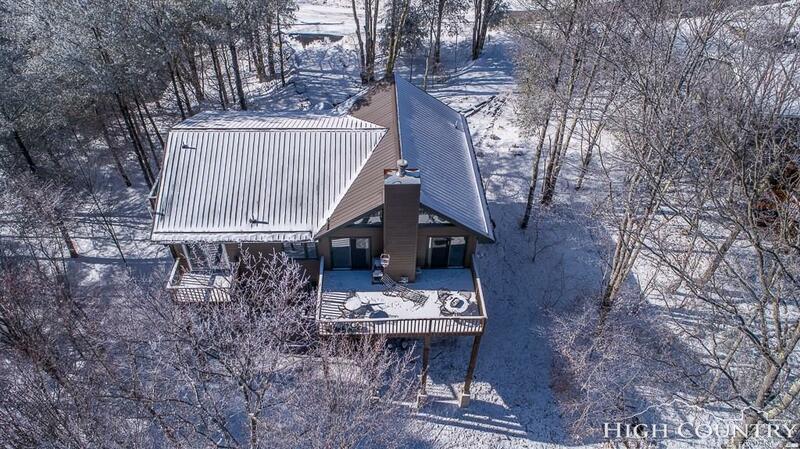 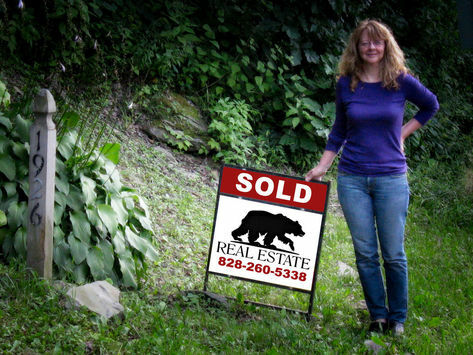 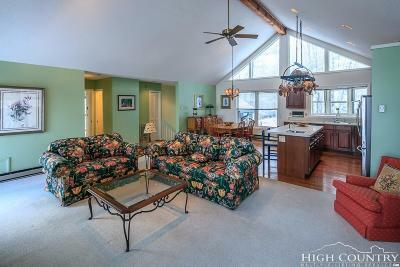 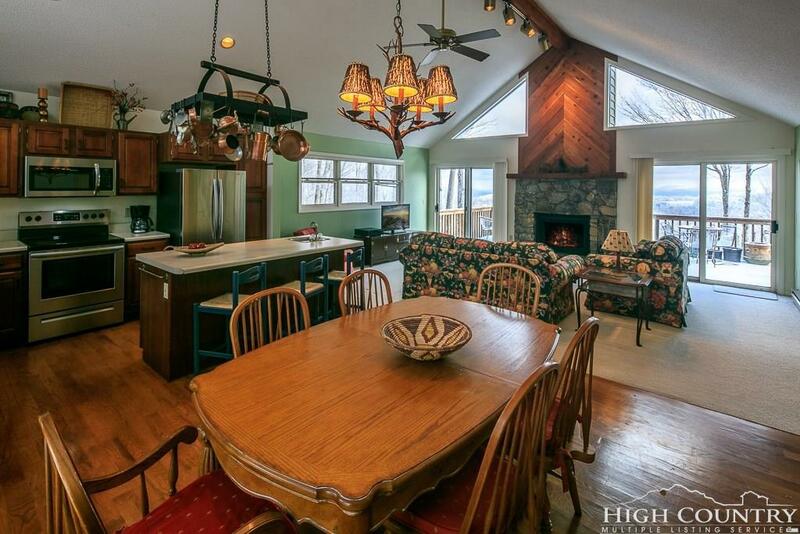 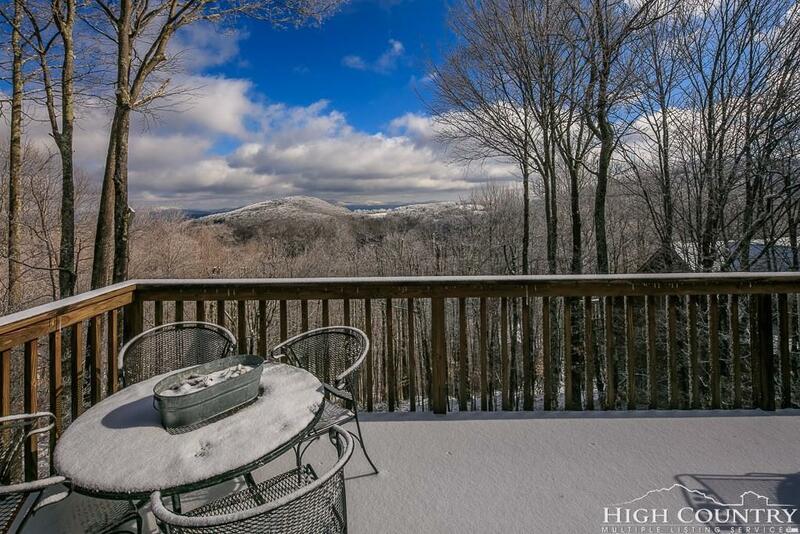 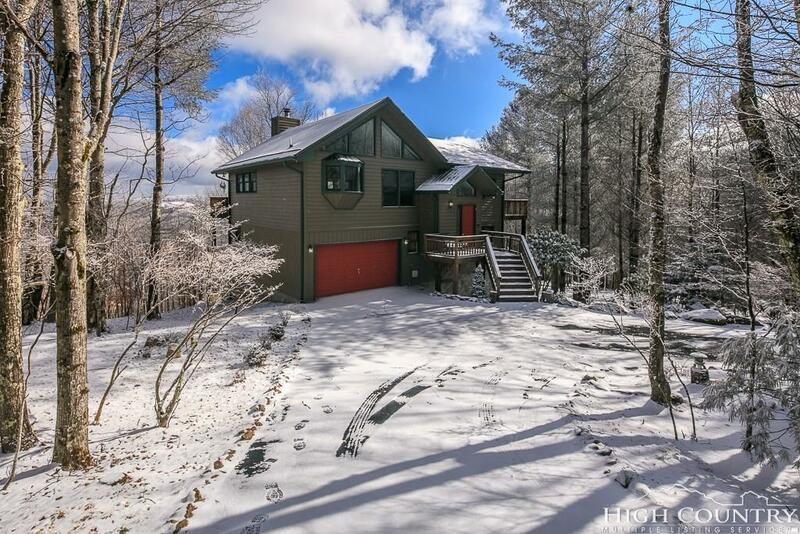 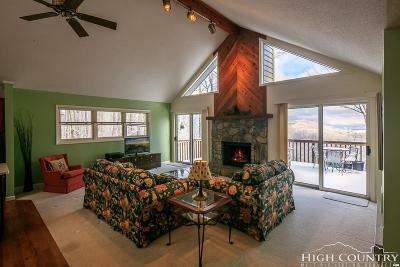 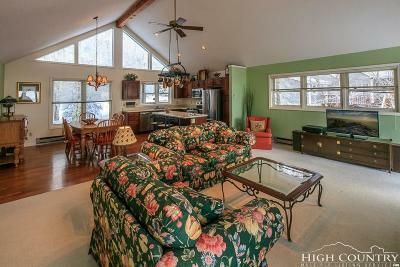 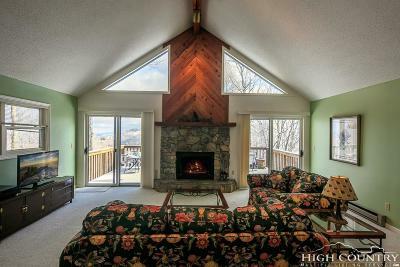 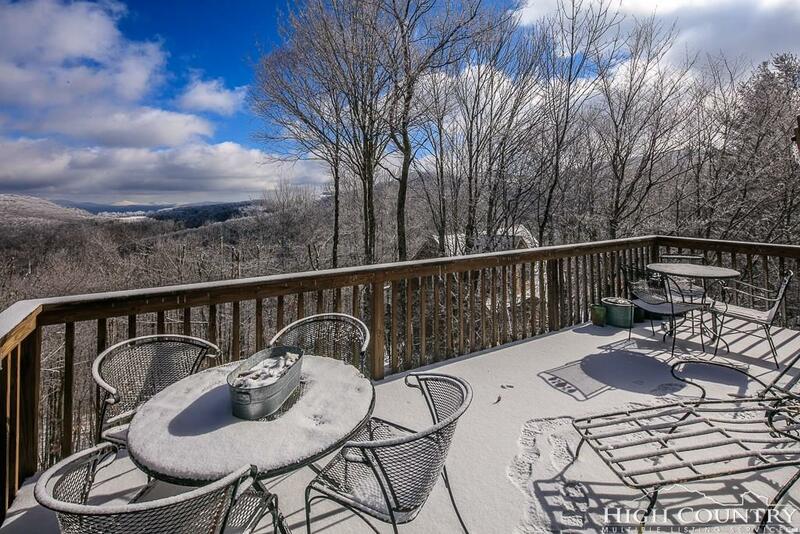 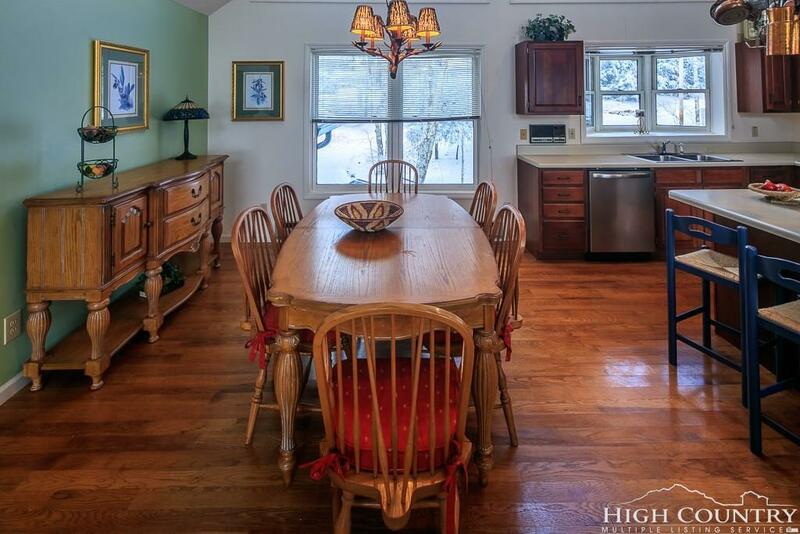 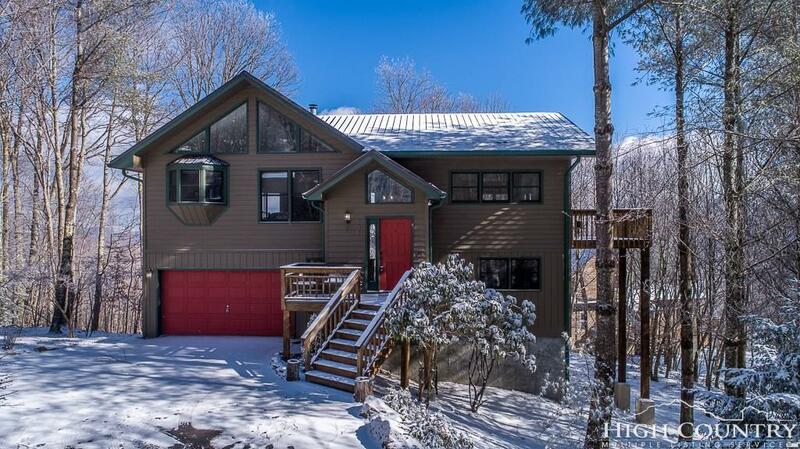 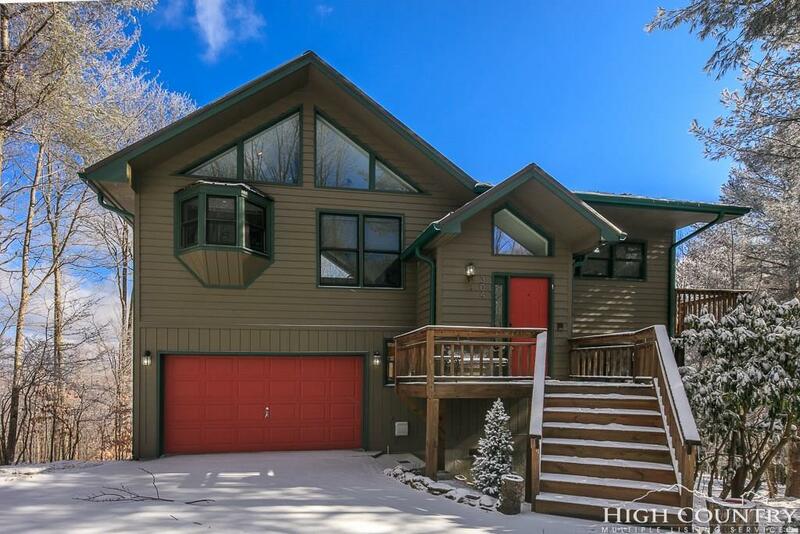 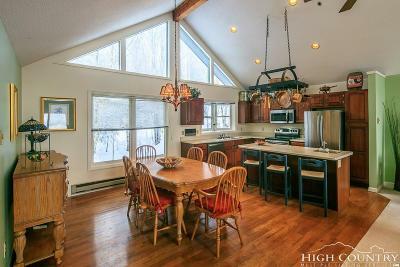 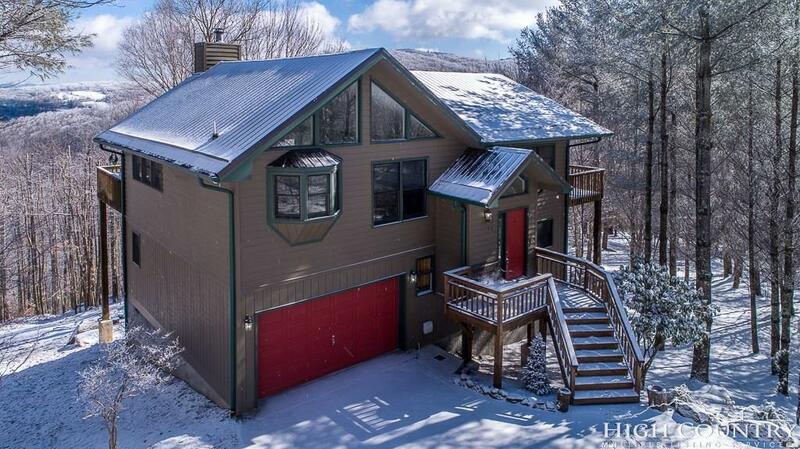 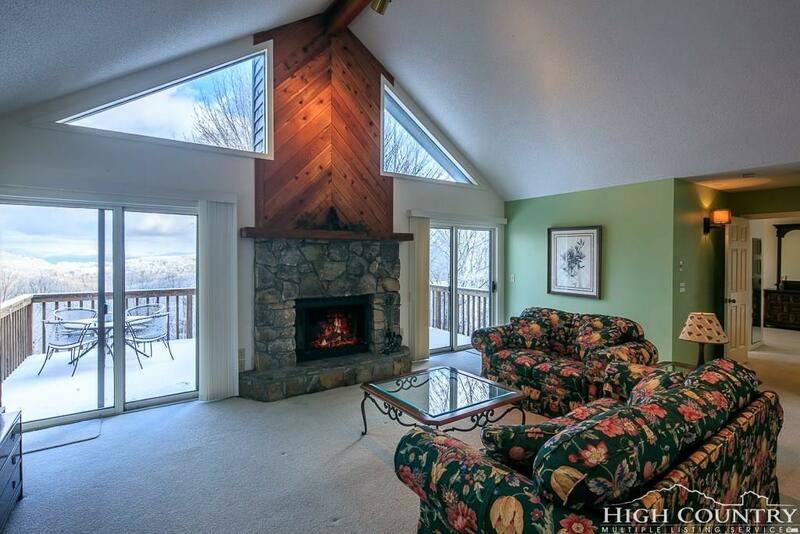 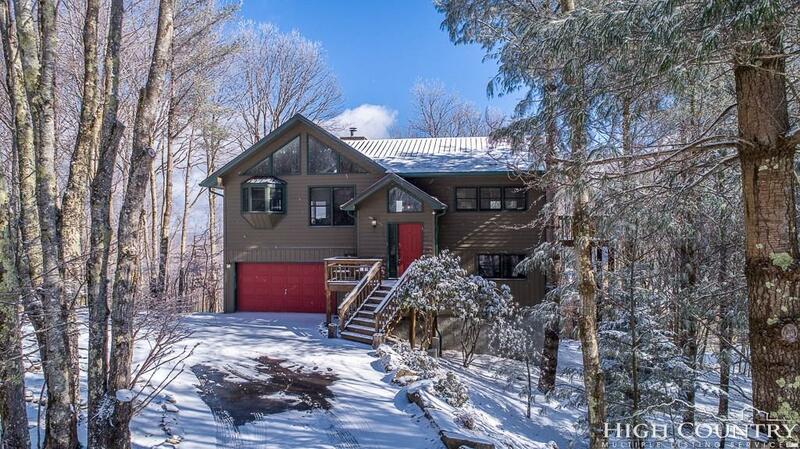 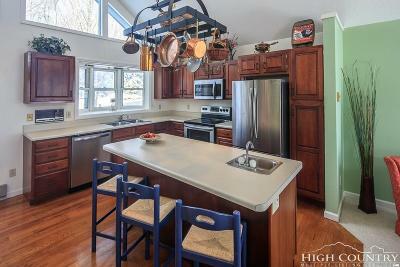 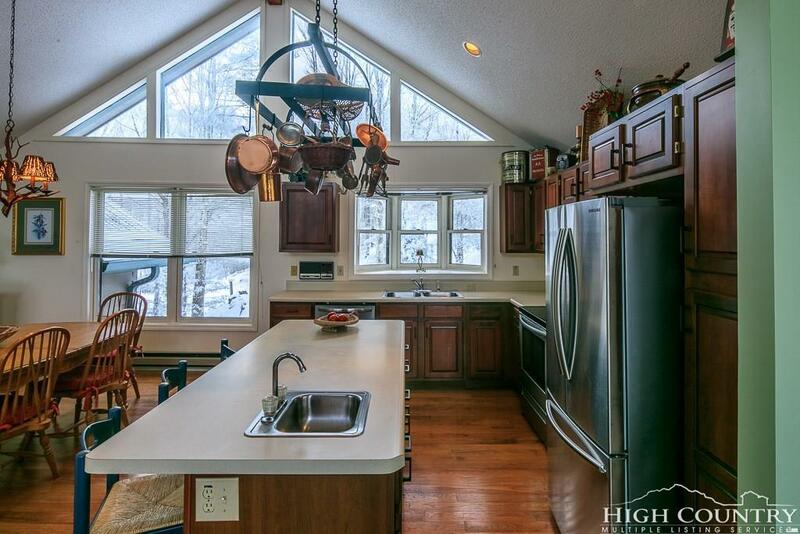 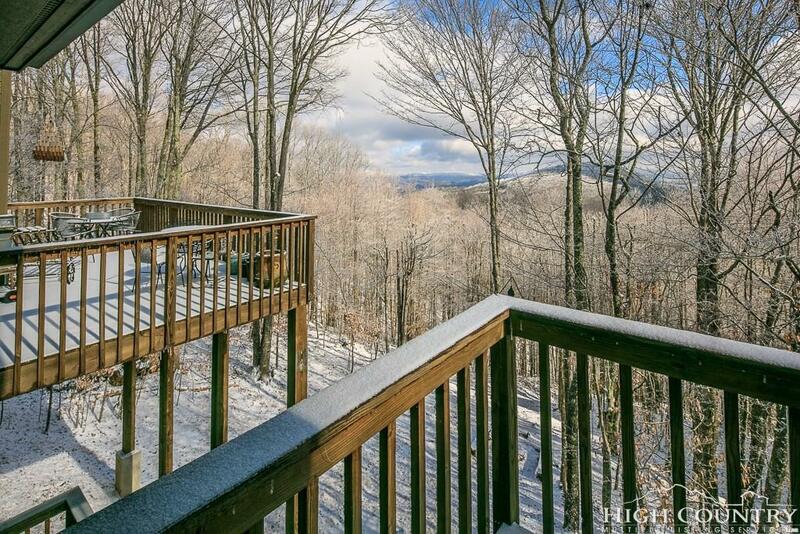 Enjoy great High Country lifestyle with this fabulous split-level mountain home with long range views. 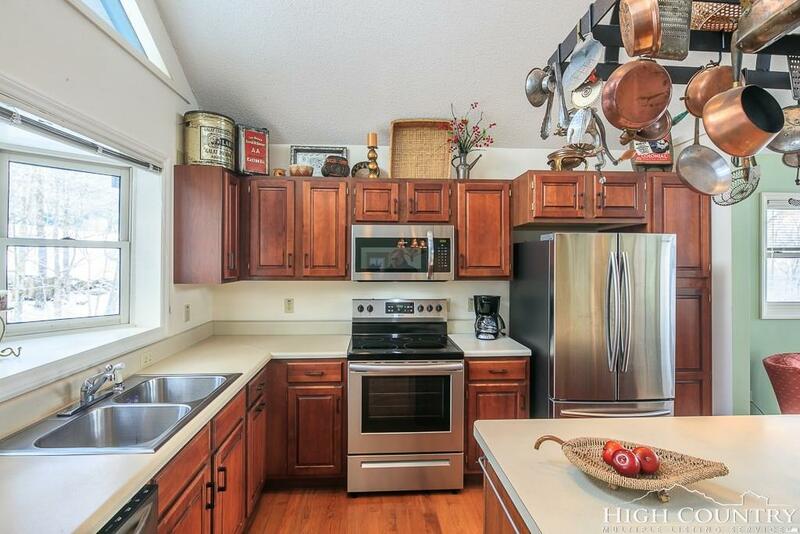 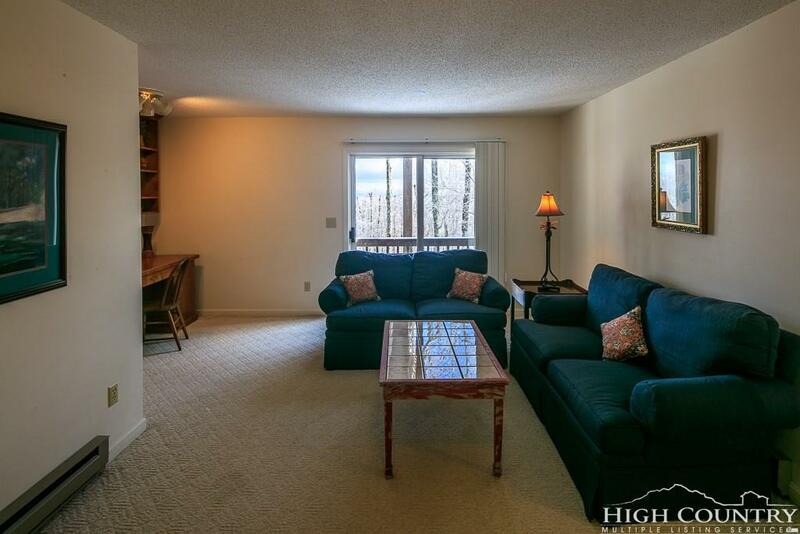 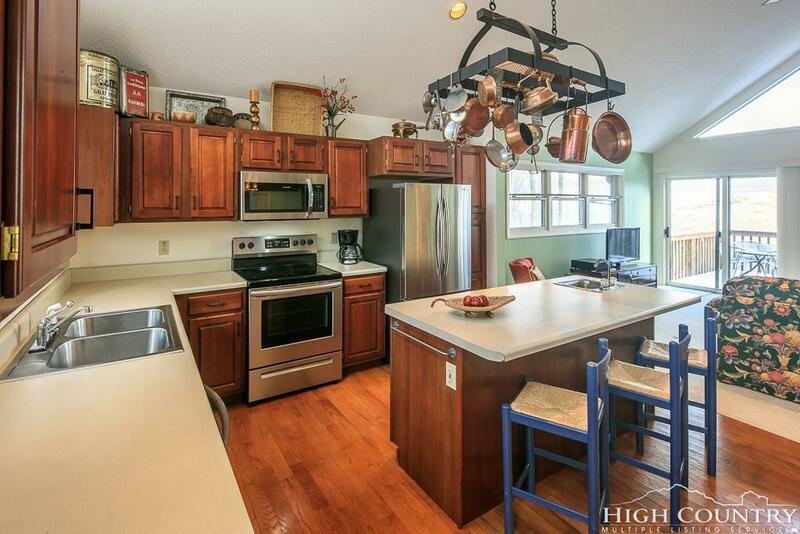 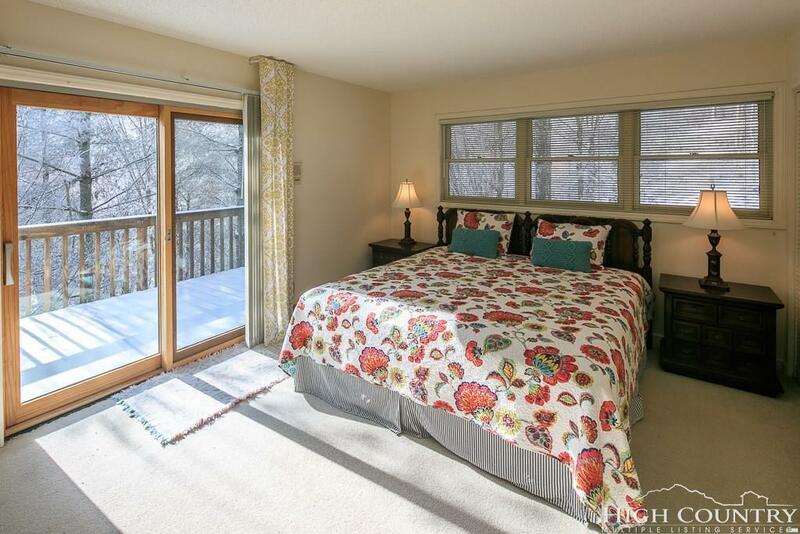 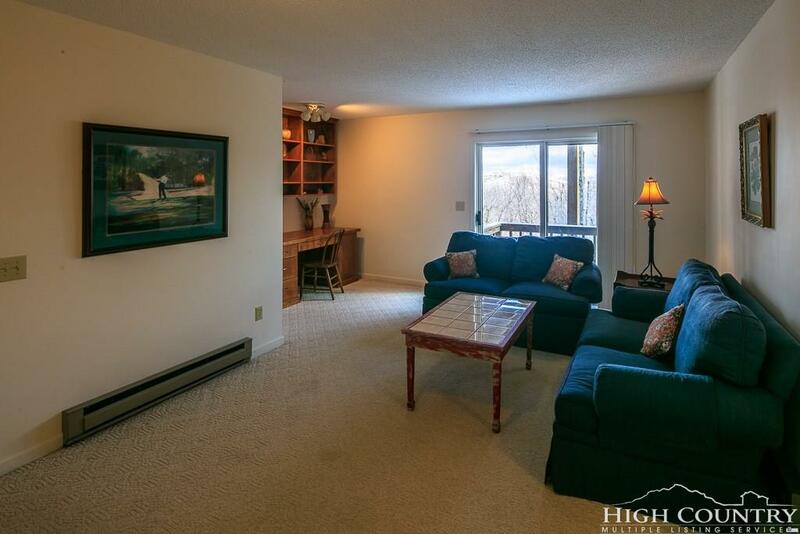 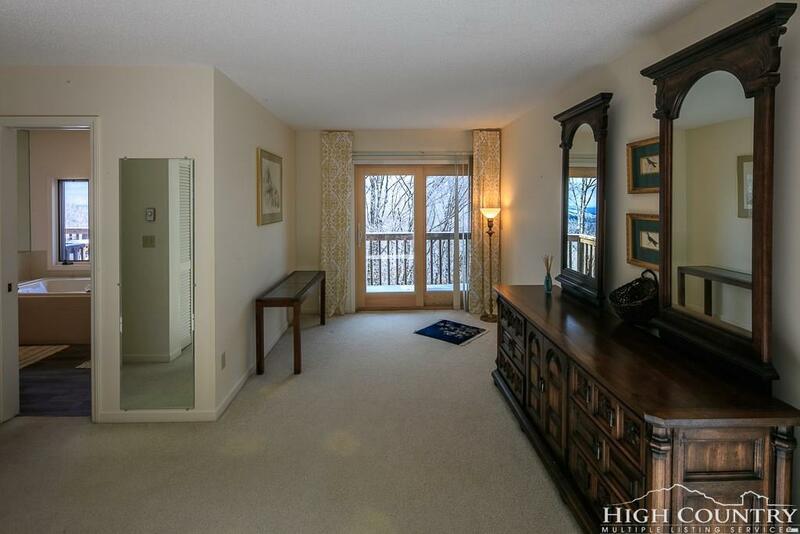 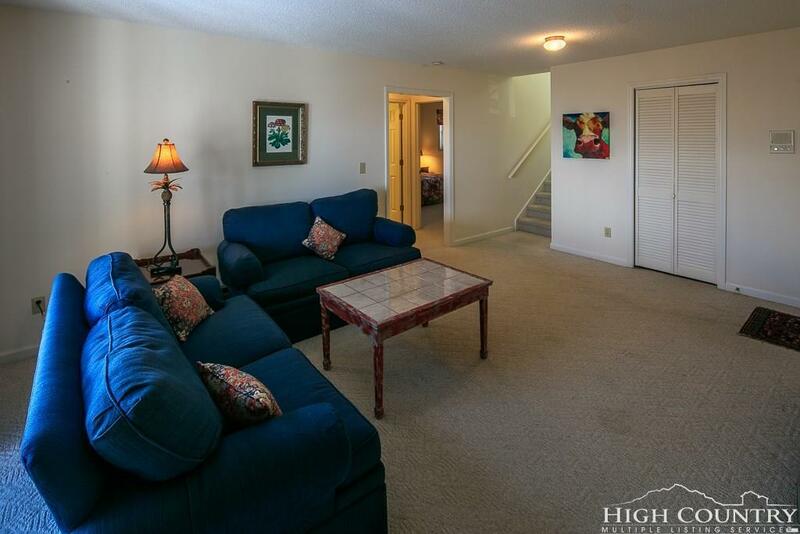 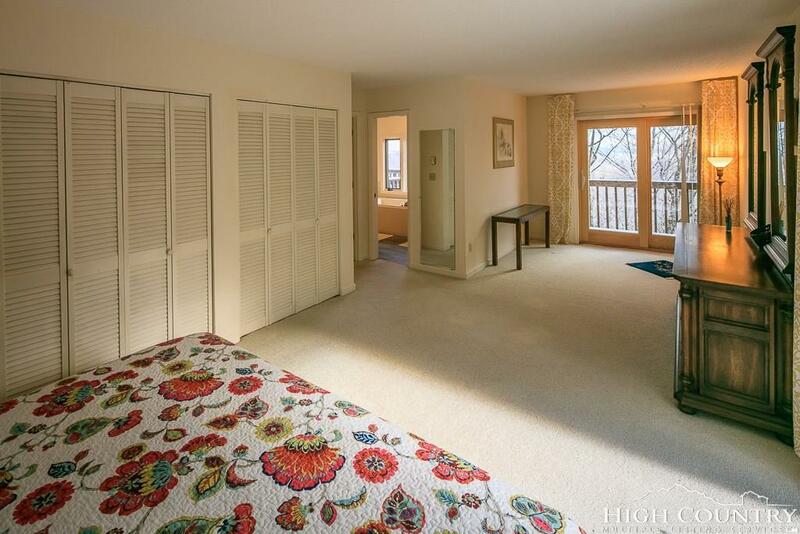 Main level boasts vaulted ceilings and an abundance of windows allowing lots of natural light. 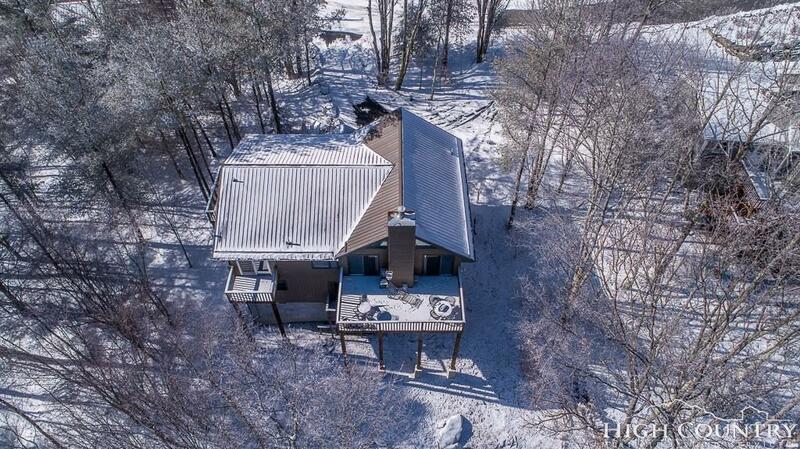 Main level has great room w/ beautiful wood burning stone fireplace, remodeled kitchen w/stainless appliances, master suite has sitting area, updated master bath with jetted tub, separate shower and dual vanities. 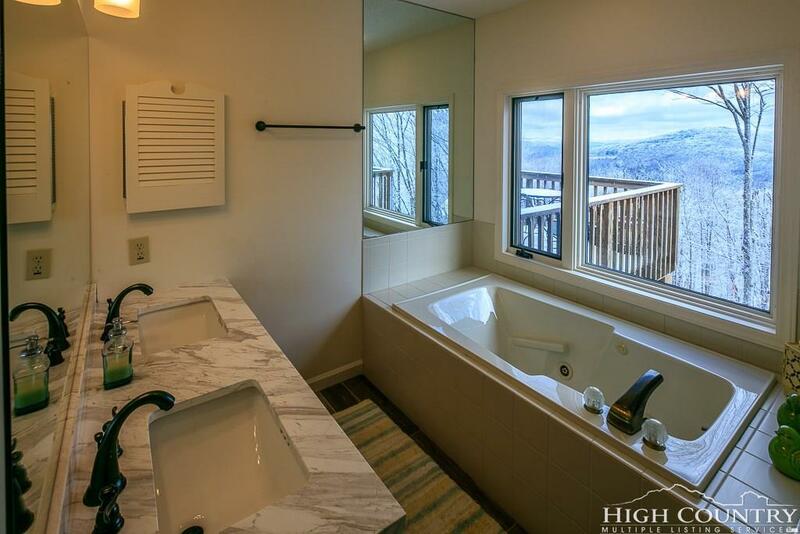 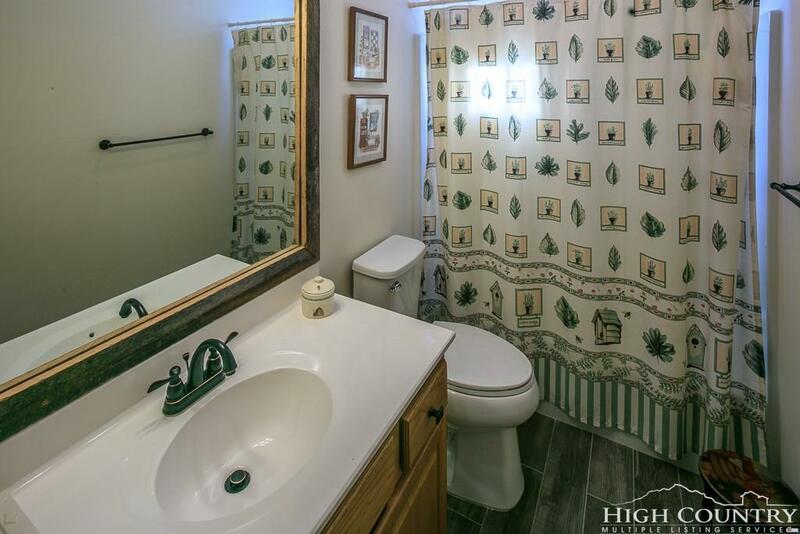 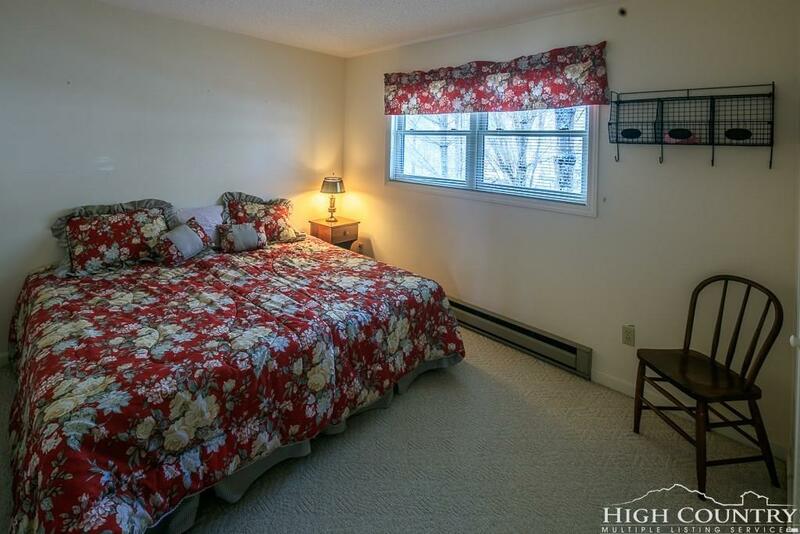 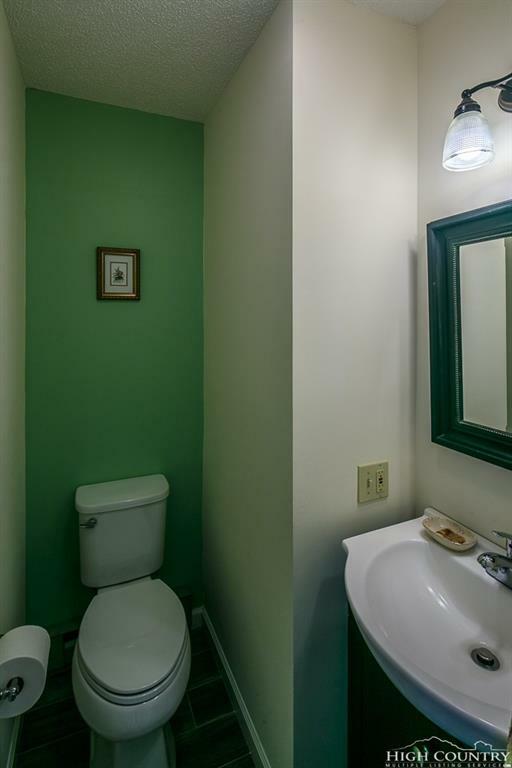 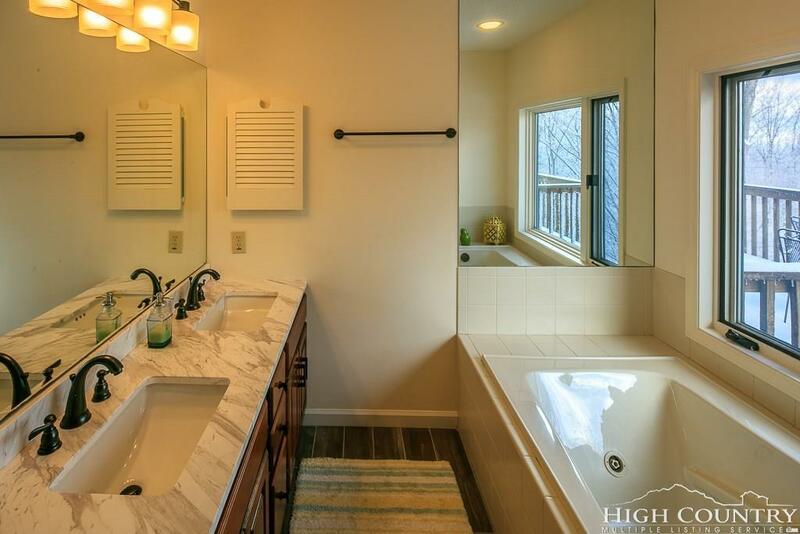 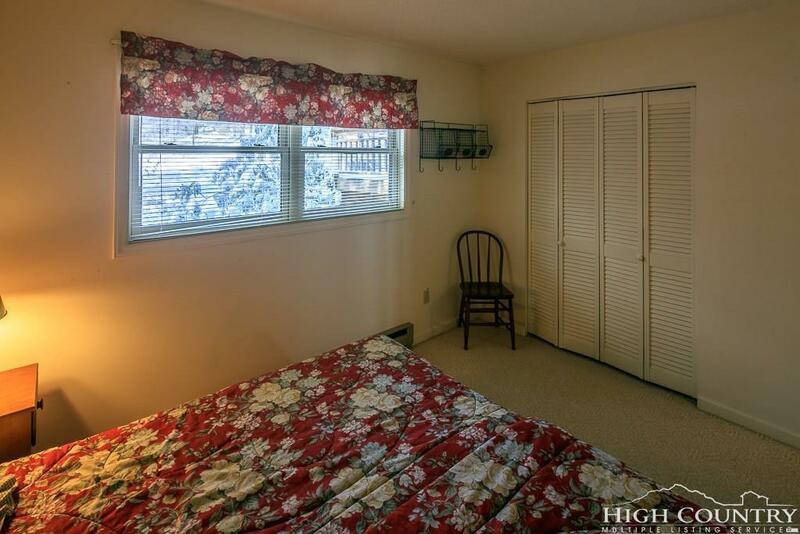 Both master suite and bath have long range view. 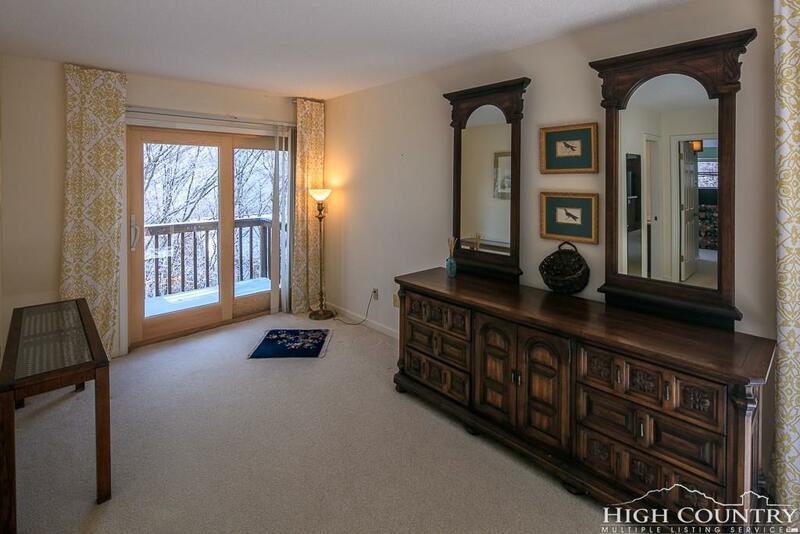 2 private decks off master. 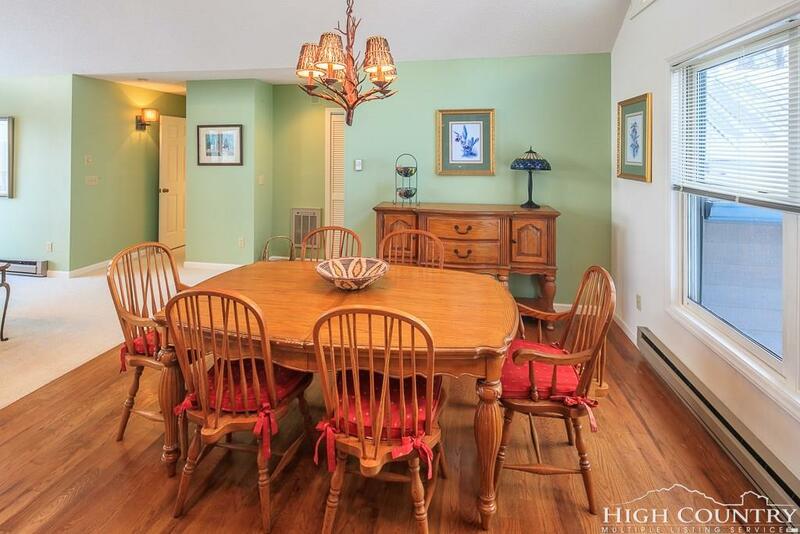 Rounding out this level is dining area w/wood floors and updated 1/2 bath. 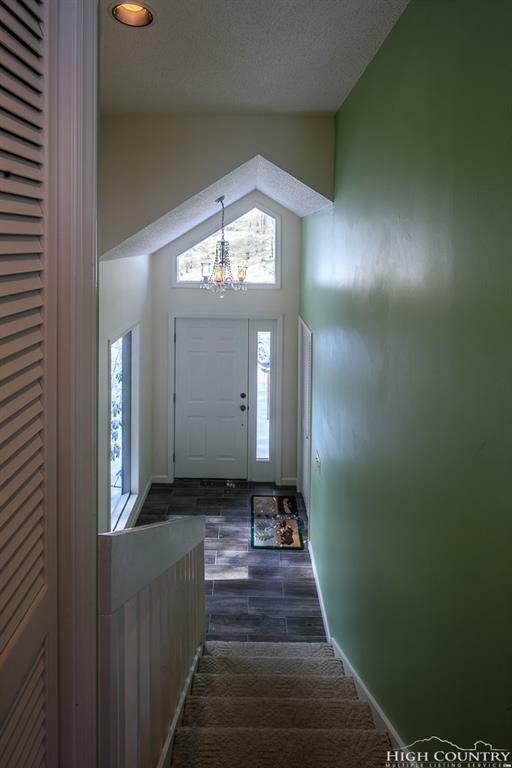 All baths and foyer have been updated with wood plank-look tile floors. 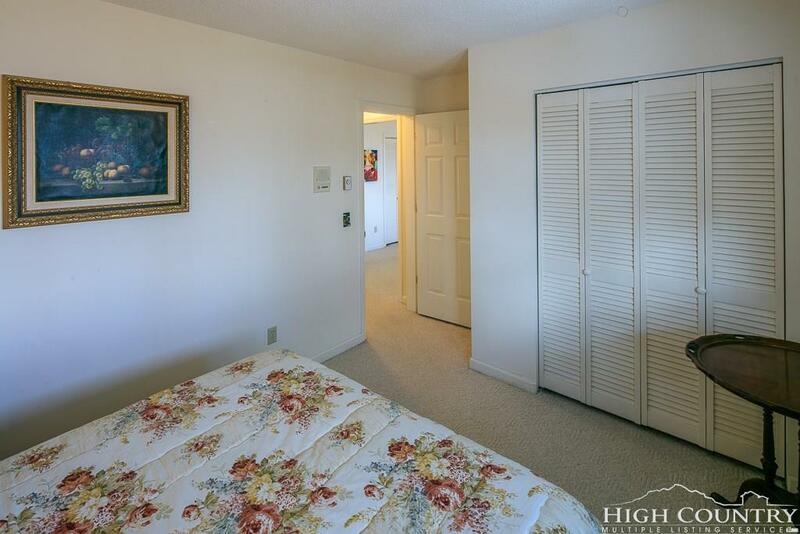 Lower level has 2 additional bedrooms, full bath, spacious den/office area, laundry room w/sauna and separate shower. 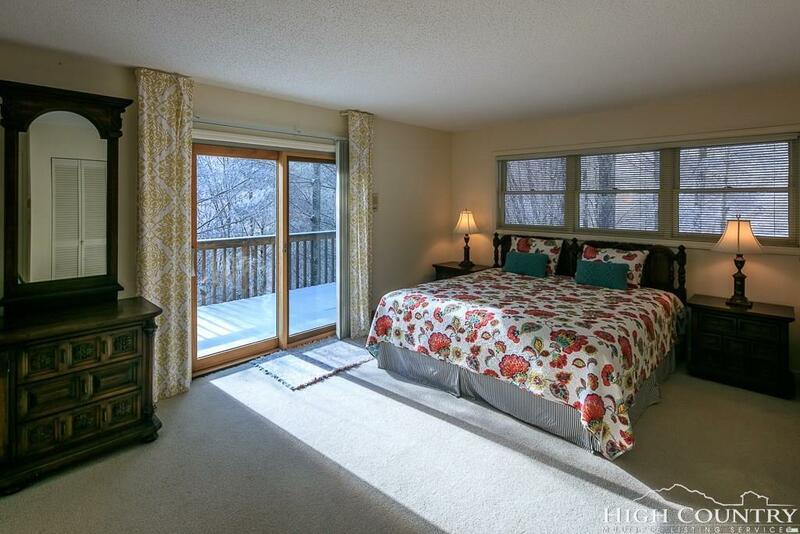 3 new sliding glass doors have been installed. 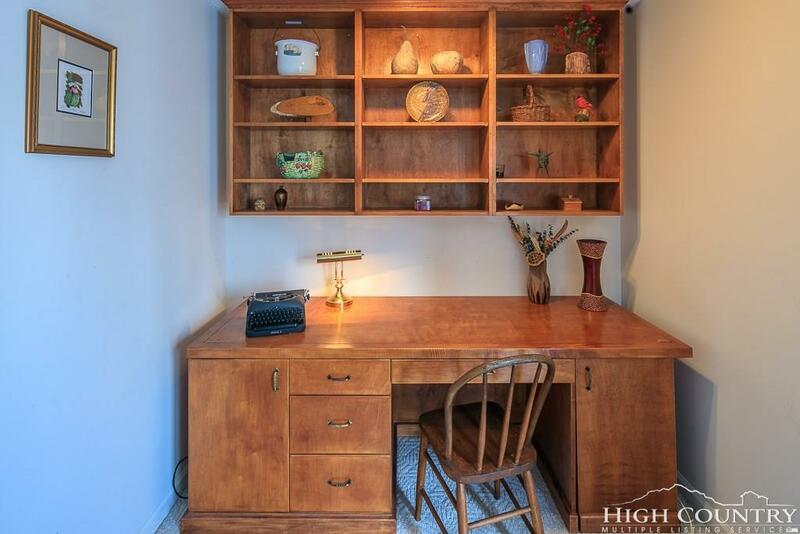 1.5 car garage w/workshop. 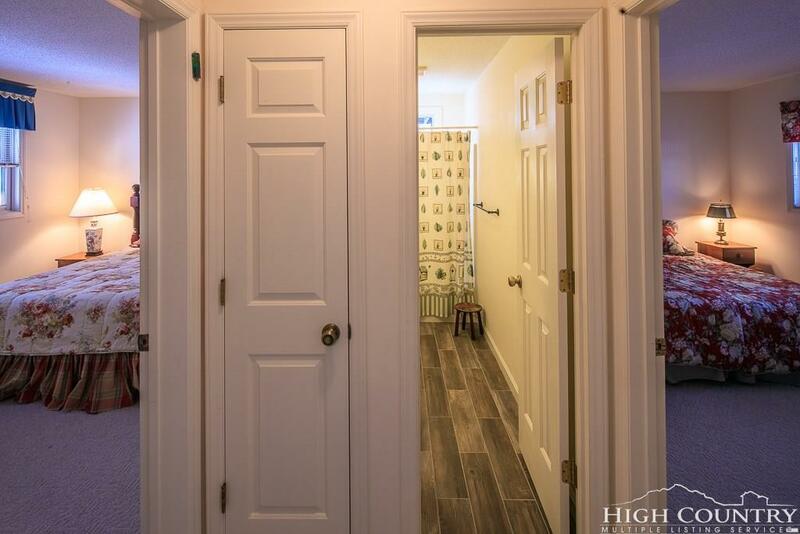 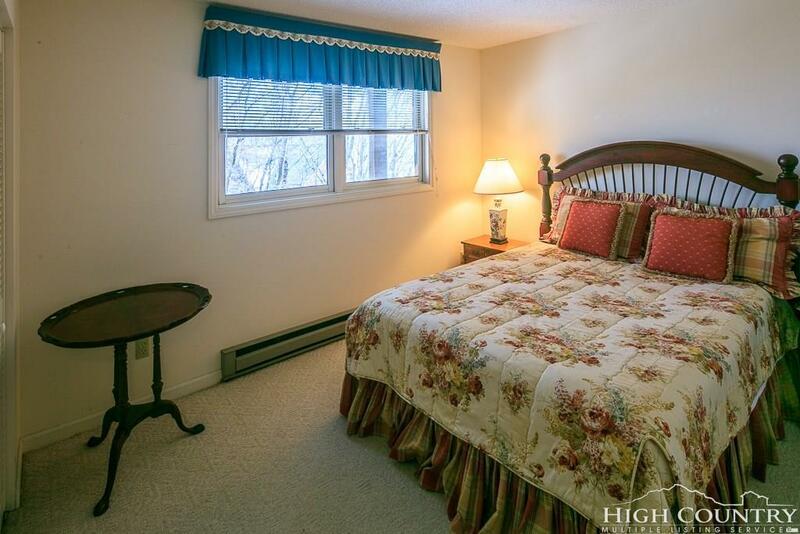 Paved circular drive has ample parking and easy access. 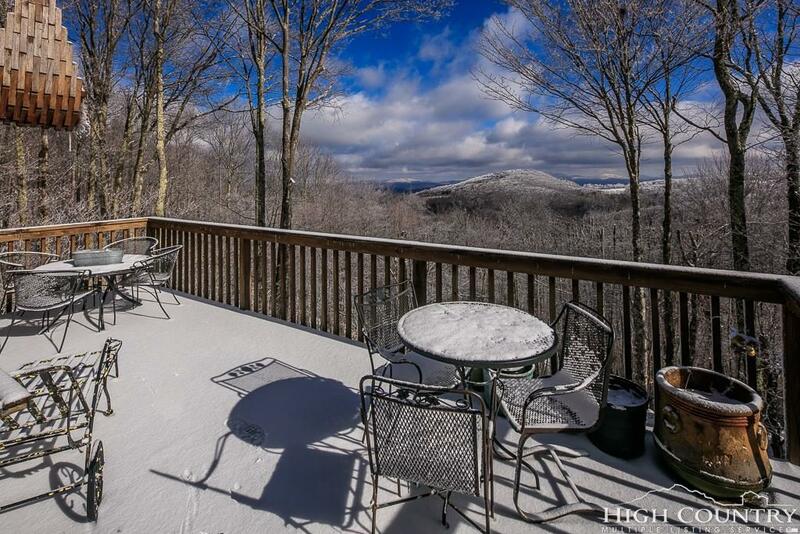 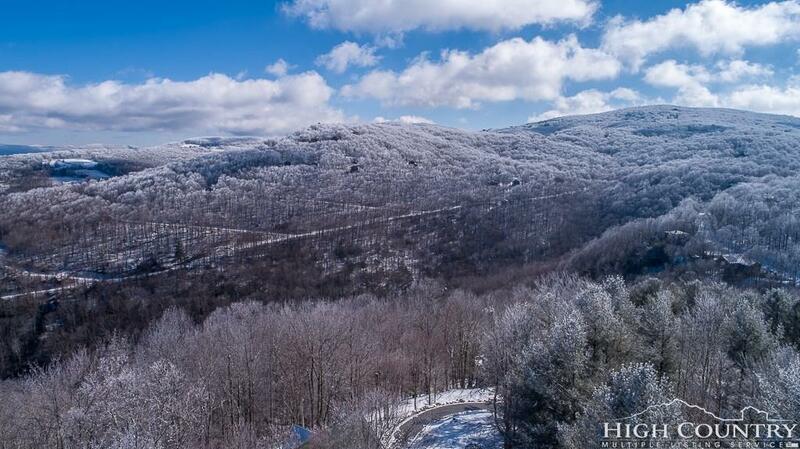 Less than 50 feet from the 17th green on the Beech Mtn Club Golf course, 1.5 miles to the entrance of Ski Beech and less than .75 mile from the Beech Mtn. 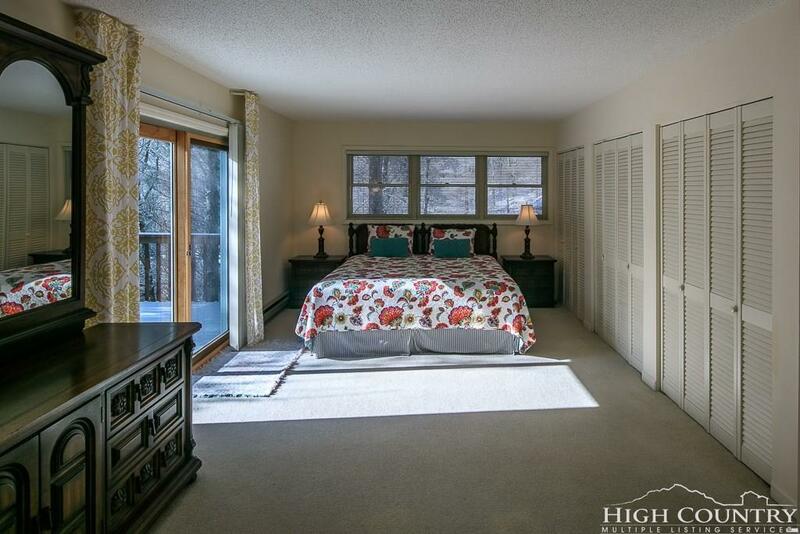 Club, which amenities include outdoor pool, clay court tennis courts, pickle ball courts, 24hr fitness center, kids summer day camp and many other activities.